My company, Rachel's Basic Bites, is a small startup in the Kent county area of Rhode Island. I provide handcrafted granola bars, made with high quality organic ingredients. 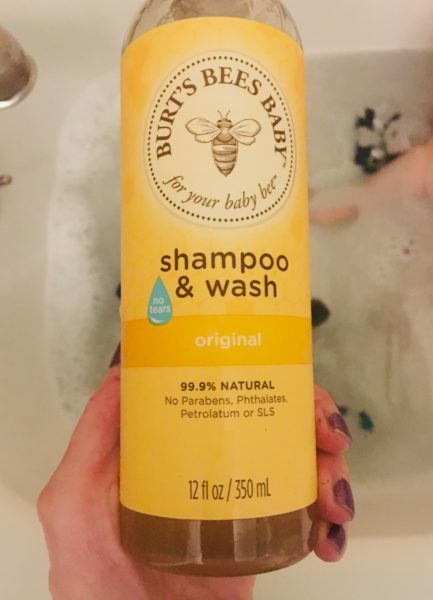 I would like to share with you one of the few product lines i love which is Burt’s Bees skin care which is gentle, non-toxic and budget friendly. They really have a great variety of lip and skin care to meet your needs. Gravitating more towards a non-toxic lifestyle can get quite overwhelming and i totally get that. After numerous years of researching and becoming more enlightened, i realized all ugly harmful chemicals in the marketplace everywhere. Not to mention all the lovely toxic side affects to boot, i was seriously frustrated. For instance, why the heck are we NOT told about this crap and secondly how do we rid our bodies to this excess of toxic substances?! It isn’t right and that’s when my journey began. I feel it’s important to self educate yourself on any one subject that doesn’t sit right with you. You can’t always believe what is said in the media these days. It’s always a great idea to do your own research. Be your own detective. And knowledge is not power, it’s applied knowledge that brings on empowerment for you and others. In my experience it takes small steps in the beginning moving towards a healthier lifestyle. The unconventional route is not easy, but attainable and well worth your health. Most will not understand this until something arises like illness to bring on positive action in their lives. So, the question i have for you is, how will you empower yourself in moving towards where you would like to be? Below are are some simple solutions to get you on the right path that won’t leave you insane or exhausted. BABY STEPS! Most of us may not have the budget or energy to swap out everything all at once. But what you can do is keep it stupid simple and go at your own pace. When you happen to run out of an item switch it out for a non-toxic version. As i say, it’s always important to read the labels. Some may say natural or organic, but just may look really cool. JOIN A GROUP like mine where you can collaborate with like-minded people to gain insights and accountability. There are many groups available in social media in what you may be looking for.The wisdom, advice and research of others is priceless. It’ll save you time and money. AIM FOR IMPERFECTION. You may not be able to get rid of all the toxic build up, but as long as you are more aware of the many options that are out there and applying the knowledge you’ll be further than behind. The better you can make healthier choices in consuming less chemicals, the better your overall well-being will be. LISTEN TO YOUR LIVER! Without a thought or a thank you, livers around the world have been saving lives in removing toxic substances. The more non-toxic you live the better your liver will be in the long run. You don’t need to panic every time you think you are consuming or a harmful chemical wants to jump at us to attack. Just remember to keep chugging along. Most often than not our livers do a wonderful job in eliminating toxins from our bodies. Below are some helpful signs to consider if you think you may have toxin buildup. FATIGUE we all get tired at times, but if it’s not resolved by a good nights sleep than you need to look deeper. ODOR such a foul bad breath, body odor or foul stool. DIGESTION is a subtle indicator such as constipation, excessive bloating, gas or diarrhea due to an overload in your system. SKIN PROBLEMS such as psoriasis, eczema, puffy eyes, dark circles around the eyes are a clue. Any unusual MEMORY LOSS, brain fog, depression, anxiety or unhealthy lack of motivation is another. HORMONAL IMBALANCES like PMS, endometriosis or a low sperm count can be a factor as well. Excessive HEADACHES, migraines or sinus issues is a cause. NO RESULTS from eating right or normal exercise routines. FOOD and CHEMICAL sensitivity may be an issue. Lastly JOINT PAIN and muscle aches seem to surface more frequently. NOW the many ways in combating these issues can be just by cleaning up your nutrition such as reducing the amount of processed foods and eliminating sugar can be a real improvement for wellness. Another way is cleaning the air by using filters, natural cleaners, airing out your home and bringing in certain indoor plants to detoxify. By using safer cookware like stainless steel or cast iron can help reduce these risks as well. Stay away from coated cookware like teflon! It’s always best to eat more from the Earth and buy organic when possible. I see more and more markets carrying good quality foods, you just need to look closer. Your mind and body will thank you for it. Always be aware in how you feel either in a notepad or journal. I hope this article helps in raising more awareness for your overall well-being. Any questions or comments please let me know. And please, if you got value from this i would love to hear. Remember when you fuel your body the right way it will take care of you. The human body is an amazing machine and very intelligent. 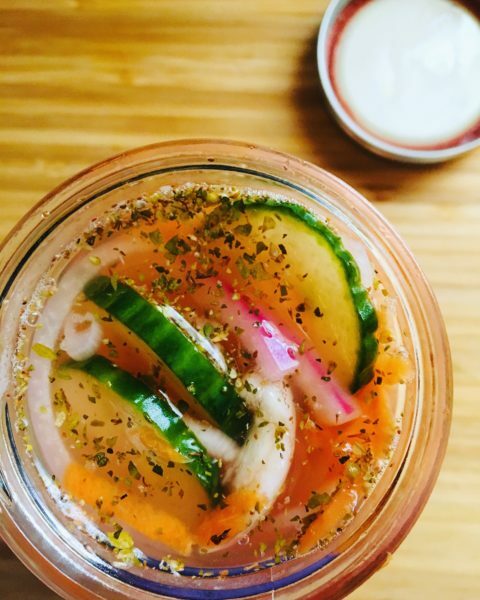 I’ve done pickling in the past before, but this time i wanted to try something a bit different. This style of condiment is super simple, with only a handful of ingredients and so flavorful. Totally hit the spot! How about you, what is your favorite type of fermented condiment? And have you experimented in making your own at home? I would love to hear. And the list goes on! Just get creative, create something wonderful and have fun most of all in making your signature blend. Not only is it good, but good for you in your overall well-being. Below are the many benefits on fermented foods. Studies have been revealed the importance of microbiome (bacteria that lives within us) is crucial for overall well-being. And believe it or not we are more bacteria than we are human. When having a balanced microbiome it helps to easily regulate the immune system, our metabolism, supports our mood and brain function, produces vitamins and minerals and maintain a healthy weight. So fermented foods are a great way to do that. Fermented foods are a natural probiotic due to live bacteria along with many other crucial nutrients needed for our well-being. You can find an array of these foods from around the world such as being fried, boiled and candied. These can be consumed as a main dish, side dish, dessert or a salad. There are fermented drinks like tea, wine, beer, vinegar based drinks and buttermilk. Sauerkraut – fermented cabbage eaten through parts of Europe, Russia, Asia and Germany. Kimchee – A Korean version of fermented cabbage, carrots, onions and garlic. Kefir – fermented milk drink from North Caucasus. Yogurt – fermented milk or plant based style consumed throughout central and west Asia, India and central Europe. I hope this was helpful in understanding the importance of fermented foods in healing your gut through making healthier food choices. Remember food is fuel and medicine for the mind and body. It’s like having a car with no gas and trying to get to point A to point B. You can not be running your body on empty because it will eventually catch up to you. Do your best to choose wisely. I hope you come to enjoy and experiment in making fermented foods in your own kitchen. Incorporating this into your lifestyle can be an easy process while saving you money. Now that we know a bit more about the healthy benefits, let’s scroll down to the recipe. Prepare your mason for use; set aside. Start slicing veggies either with a knife or grater. Set aside. In a medium saucepan, boil water and vinegar. Add in your onion, garlic, herbs, salt and sugar. Stir until the sugar has been dissolved; remove from heat. Allow pan to cool for 10-15 minutes. Place the veggie mixture into the mason jar; slowly pour the vinegar mixture over the veggies. Allow the jar to cool before placing in the refrigerator and lid. You may have it the same day or wait longer for full flavor. And voila, a lovely condiment to enjoy! It’s that simple. NUTRITIONAL CONTENT: per serving calories 35; total carbohydrates 6g; dietary fiber 1.5g; sugars 2g; potassium 4%; vitamin A 3%; vitamin C 6%; calcium 3% and iron 1%. Today’s recipe is a vegetarian style twist from the well known dish of Chicken Tikka Masala and truly tantalizes your tastebuds. It has depth, packs a punch in the flavor department and simply satisfying. A nice recipe you can easily whip for a crowd or just for two with hardly any fuss in the kitchen. Feel free to experiment with other ingredients and create your own signature blend. Online there are many variations to this type of dish and just have fun with it. It’s wonderful alongside some basmati, quinoa, roti or naan bread. I don’t know about you, but i just LOVE chickpeas. These guys are tasty, nutritious and quite versatile to incorporate into snacks, desserts and main dishes. I have quite a few recipes on the blog made with these lovely beans. I would love to know how you enjoy your chickpeas? Now you may ask what IS “Tikka Masala”? Tikka Masala is a well known dish by using chicken as a base along with heavy cream, a variety of spices and garlic. It’s a traditional Indian style dish of deliciusness. It is so darn good. But with most recipes you can customize to your liking just like this one. And i am pretty sure you can use your slow cooker for this meal. Although i have not tried in my crockpot yet, but i have seen quite a few recipes that do. A super simple, tasty and protein rich meal that you can easily whip up while feeling good about it. There are a few reasons why you should add these beautiful beans to your healthy lifestyle. Below are some facts about these powerful chickpeas. 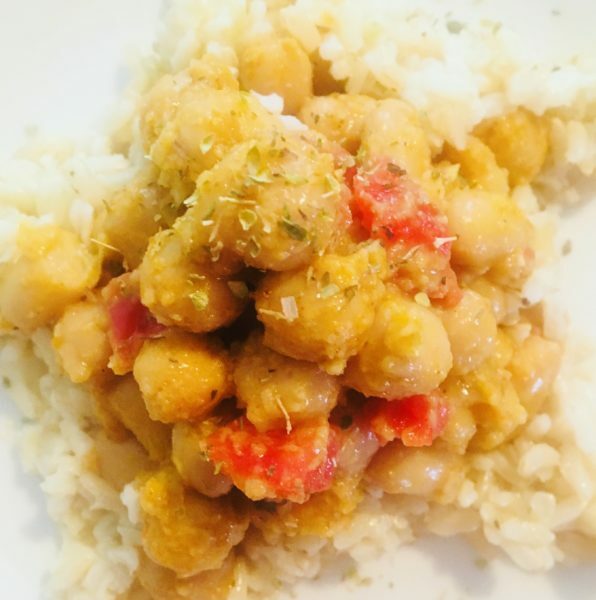 WHY ARE CHICKPEAS SO GOOD FOR YOU? Now that we know the many health benefits of these lovely legumes, they are easily affordable and simple to incorporate into your lifestyle. Most markets carry them in either dried or canned style. For myself, i love adding them to snacks, salads, some desserts, soups and making my own signature hummus. The possibilities are endless with these small but powerful legumes. And they are a wonderful substitute for meat due to their high presence in healthy plant protein. They can be baked, roasted, slow cooked or sauteed. They are high in fiber, minerals, vitamins and protein. Adding chickpeas to your healthy lifestyle on a regular basis can do wonders for your overall well-being. Hope you enjoyed these simple facts on chickpeas and let’s move on to the recipe below. If you have any thoughts, please comment anytime i would love to hear. In a large saucepan, over medium heat, cook oil for just a few minutes. Add in the onions and pinch of salt; let saute until translucent and fragrant for about 4-6 minutes. Add in the garlic; let saute for about another minute. Next add in the ginger and spices to the pan and let cook until blended and fragrant. Add in the chickpeas and tomatoes; bring to a boil and then reduce to a simmer for about 15 minutes to let the flavors marry together. Now stir in your coconut milk and let simmer for another 5 minutes. While simmering, combine the cornstarch with 2 tbsp water to whisk until combined; then add it into the pan and stir well. Let cook for another 5 minutes or until it has thickened a bit. At this point you may want to doa taste test and adjust if needed. Remove from the heat when done and garnish with fresh cilantro in decorative bowls. You may have it with your favorite rice, starch or bread like roti or naan. Hope you enjoyed this recipe and any questions feel free to ask. NUTRITIONAL VALUE: calories 315; total fat 20g; sodium 300g; total carbohydrates 28g; dietary fiber 7.6g; sugars 3.4g; protein 7.4g; calcium 5%; iron 18% and potassium 9%. This jam is truly a little powerhouse of homemade goodness! 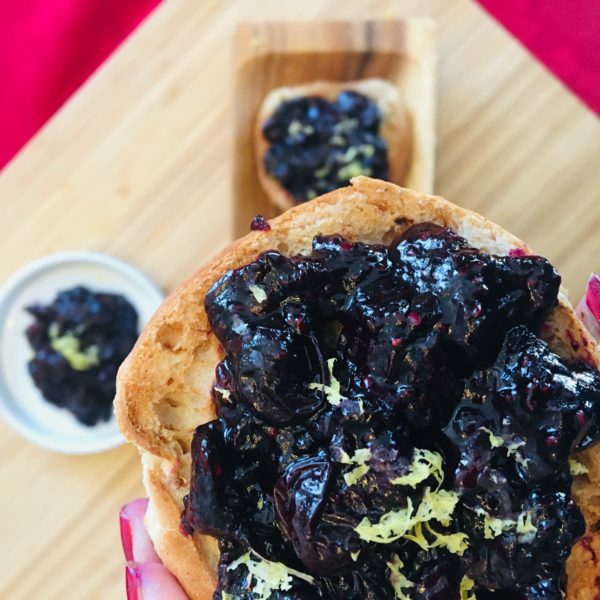 A lovely combination of freshly bursting blueberries, the fragrance of lemon zest, pinch of pure maple flavor and chia seed goodness for a luscious viscous jam. The perfect power couple to boost your brain health, immunity and so heart healthy. Making homemade jam in your kitchen is super simple and easy to whip up in a matter of minutes. My little one loves to help in the kitchen when i am creating yummy snacks or meals. It’s a great way to teach kids about food and self sufficiency while having fun. So get creative and have some fun in the kitchen with your little ones. I’d like to ask you a question, if you have any recipes that you like to create with your kids? This is such a tasty and wholesome treat without the conventional jams or spreads out there. Most jams are packed full of extra sugars, additives, coloring and/or preservatives to keep it longer on the shelf stores. It’s important to look at those labels in what you are buying. Do your best to gravitate towards more natural products when you can and watch out for ingredients you can not recognize or pronounce. SO ditch the added sugars and reap the many benefits of these lovely seeds to your list. You may find these chia seeds in most organic aisles or natural food stores. You will thank this little gem of a seed in creating spreads, jams, puddings or smoothies. Chia seeds are very versatile and fun to use in baking as well as cooking. When these little guys are placed in a liquid environment they form a gel like consistency which is wonderful for jams. You can also use them to replace an egg in a recipe or add them to oatmeal as a thickener for overnight oats or to make chia pudding. These seeds are loaded with nutrients that provide important benefits for your body and mind. Below are the top benefits of this super food ingredient. Back in the day of the Mayans they were prized for their ability to provide sustainable energy. A true fact that “chia” is an ancient Mayan word for “strength”. Despite their ancient history as a staple food, chia seeds are just becoming more popular recently. Only a 1 ounce serving of this seed contains 11g of fiber, 4g of protein, 9g of fat, 18% of calcium, 30% of manganese, 30% of magnesium and 29% of phosphorus. Chia also contains other trace amounts of zinc, niacin, thiamin, potassium and vitamin B2. The excellent part about them is that they are considered a whole grain food grown naturally, non-GMO and naturally gluten free. Chia has a high content of this which helps protect the sensitive fats in the seeds from going rancid. Consuming more foods with antioxidants have positive side effects for your overall well-being. One ounce of these seeds provide 12g of carbs, but all 11 of those are fiber in which your body doesn’t digest. This makes chia a low carbohydrate friendly food due to it’s high soluble fiber content. This seed can absorb up to 10-12 times it’s weight in water, becoming very gel like and expanding in your stomach in removing toxins from the body. Fiber helps to feed friendly bacteria for gut health. These guys are 14% protein packed of goodness and which are much higher than most plants out there. An excellent source of preotein especially those who eat very little or no animal products. Due to it’s soluble fiber which helps with feeling full and satiety. When combined with real food based diet and a healthy lifestyle, chia seeds definitely will promote weight loss over time. Like flaxseeds chia are very high in omega 3 fatty acids. Although very high in this fatty acid, we as humans are not good at converting into DHA, the most important fatty acid. To get more DHA include either fatty fish regularly or take a fish oil supplement. Since they are high in fiber, protein and omega 3 fatty acids, they may reduce your risk of heart disease. A few studies have been shown that these powerful seeds significantly reduce blood pressure in those with hypertension which is a strong risk factor for heart disease. These guys are loaded with several nutrients that are important for bone health such as calcium, phosphorus, magnesium and protein. Gram for gram, 18% of RDI in a single ounce is quite impressive. This is absolutely higher than most dairy products. Consistently high fasting blood sugar levels are associated with an increased risk of chronic diseases. Animal studies have found that chia seeds may improve insulin sensitivity and blood sugar control after meals. Something to think about. Although inflammation helps your body to heal and fight bacteria, viruses and other infectious agents can sometimes cause harm and backfire. Various unhealthy lifestyle habits increase your risk of chronic inflammation such as smoking, lack of exercise and poor diet. Certain healthy foods like chia can reduce the blood levels of inflammatory markers. You now may ask in how to use them lovely powerful seeds into your lifestyle. Read on for more details. Chia seeds are so easy to incorporate into your lifestyle. You may add them to anything and do not need to be grounded to reap the benefits like flax seeds. They can be eaten raw, soaked in juice or plant/nut milks, added to oatmeal, puddings, baked goods and smoothies. They can be mixed with water and turn into a gel. Now due to the ability to absorb both water and fat, it can be used to thicken sauces or an egg substitution. Pretty neat, huh? Love them. Adding these beauties will dramatically boost your nutritional value. The most common dosage is about 1.5-2 tbsp of seeds twice per day. If you haven’t used chia seeds already, you should definitely consider adding them into your healthy lifestyle. If you happen to discover recipes on my blog, you’ll find a few that incorporate these lovely super food seeds made several ways. I absolutely LOVE them! If you have any questions at all or recipes, you may comment and share your thoughts and experience. I would love to know. Since knowing more about these lovely seeds, let’s scroll down to the recipe shall we. In a saucepan, over medium heat, add in the first 3 ingredients; let cook until bubbly and fragrant. Bring to low boil, reduce heat to simmer and add in your chia seeds and vanilla. Let cook for another few minutes to blend and thicken. Remove from heat and let cool. You may place in a mason jar or an airtight container to the refrigerator. And voila! Fresh homemade jam for the family to enjoy. Super simple and darn delicious! This meal that i have for you today is just right for a busy schedule and on a cold winters day. This recipe does not take much time at all to prepare, made with fresh ingredients and oh so velvety. As you may know, I have quite a bit of recipes on my blog with slow cooking. I mean what is not to like about using a crockpot that permeates the home with aroma and lovely dishes easily created just for two or a crowd, right?! How about you, what are your thoughts about slow cooked meals? I would love to know and other foodies as well. Now if you happen to have some picky eaters then this dish is just wonderful. My youngest son has an adventurous palate compared to my two older sons whom are quite adamant in what they like or do not like. This meal was an all around two thumbs up in our household. If you happen to test this recipe i would love to hear your thoughts. Tomatoes, garlic and basil are always a great and wonderful combination in the kitchen. There are numerous dishes, around the world, that are created from these three ingredients from perfection. Not only are they tasty, but powerful. They offer so many health benefits for overall well-being. BASIL is packed full of chemicals like vitamin C and other minerals that can help with upset stomach, intestinal issues, kidney conditions, fluid retension and even head colds. A great treatment in treating worm infections, snake and insect bites too. GARLIC is a wonderful ingredient in strengthening the immunity for fighting colds, certain diseases and fungal infections. TOMATOES are a little powerhouses of anti-inflammatory properties thought to help against some cancers, cardiovascular diseases and chronic lung disease. It’s best to combine cooked tomatoes with a healthy fat like olive oil or avocado oil to increase overall benefits of your body’s ability to absorb lycopene. So i hope you come to enjoy utilizing these three ingredients in your home for added benefits in increasing your overall well-being. Now let me share with you this lovely recipe. Add the tomatoes, sauce, herbs, garlic, onion, seasonings and broth into the crockpot. Cover and let cook for either 2-4 hours on high or 6-8 on low. Stir occasionally if home. After 45 minutes before serving, either use a hand mixer into the pot or transfer into soup in a bowl to puree until smooth. Next add in the cream and Parmesan to the crockpot; stir to combine. Cover. Now prepare your roux in a small saucepan, over medium heat, with melted butter. Add the flour; stir until no clumps are seen. Slowly whisk in your cream until smooth and thickened. Add the roux and tortellini into the crockpot; stir well to combine. Allow to let it cook for another half hour or so until pasta is ready and cheese is blended. 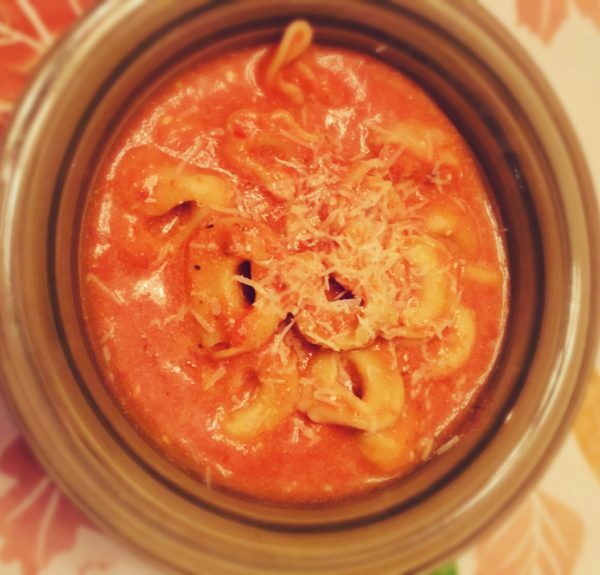 Once served, you may garnish with fresh basil and shaved Parmesan. NUTRITIONAL CONTENT: 275 per serving; total fat 9.5g; cholesterol 450mg; total carbohydrates 31.5g; dietary fiber 2.6g; sugars 4g; protein 17g; calcium 30%; iron 7% and potassium 6%. 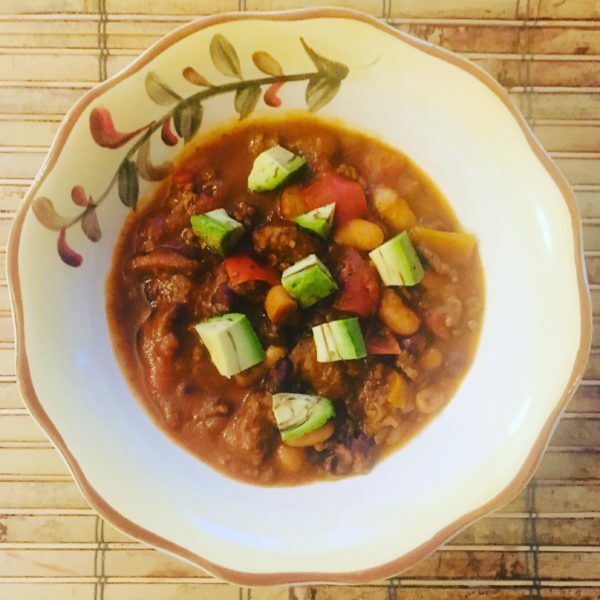 I LOVE creating main dishes with my slow cooker especially in the colder months like this style of chili right here. Chili is a wonderful and satisfying meal to create for a crowd or for just two in your own home. super simple to create with less fuss, simplicity and versatility in the use of fresh foods to minimize nutrients in the process. Not only good for you, but super tasty. This dish i have for you today is a another wonderful way in utilizing leftover pumpkin with a twist. Pumpkin adds a lovely rich and smooth texture to chili as well as the many health benefits it provides such as antioxidants, fiber, vitamins and minerals. How about you, do you enjoy using a crockpot for meals? If you happen to enjoy the goodness of pumpkin and chili this the perfect autumn crockpot go-to recipe. This dish is a wonderful twist on a classic that packs full of flavor and nutrition. May you customize it to your liking. Please if you try it i would love to hear your thoughts. Thank you. Let’s move down to the recipe shall we ?! Get the crockpot ready to use. In saucepan, on medium heat, add a splash of oil to the pan. Add in your preferred meat and let cook until browned. Place in the crockpot and cover. In the same saucepan, medium heat, add in the peppers, onion and garlic; let cook until fragrant or softened about 2-3 minutes. Place items into the crockpot along with the rest of the ingredients; mix well to combine. Let cook for about 6-8 hours with the setting. When ready, place in decorative bowls and garnish with what you enjoy. And if there are any leftovers place in an airtight container for another meal during the week. NUTRITIONAL VALUE: 429 calories per serving, total fat 96g; total carbohydrates 54g; protein 37g; sugars 6g; dietary fiber 18.5g; vitamin C 45%; vitamin A 83%; vitamin E 35%; vitamin K 92%; vitamin B 46%; folate 16%; calcium 14%; magnesium 79%; iron 45%; zinc 163%; potassium 31%; selenium 35%.